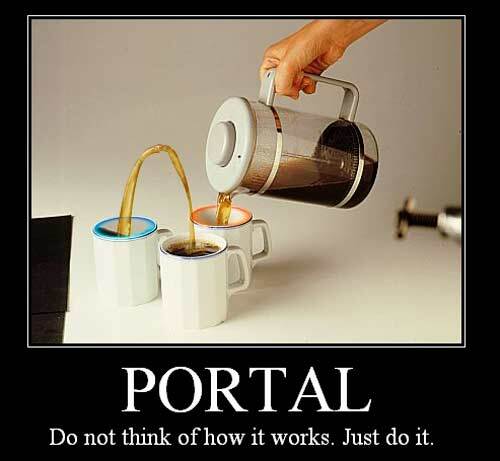 Sure, if you think about Portal too much, you'll realize it breaks a few laws of physics. But even that doesn't stop it from being fun as hell. Do note that the above picture is not from the game. In the game, portals are large enough to walk through. You just caused me to lose by mentioning The Game. Unrelated but effective nonetheless. damn me too, I lose.